Physicist and TV presenter Prof Brian Cox chooses the eight tracks, book and luxury item he would take if cast away on a desert island. Presented by Kirsty Young. 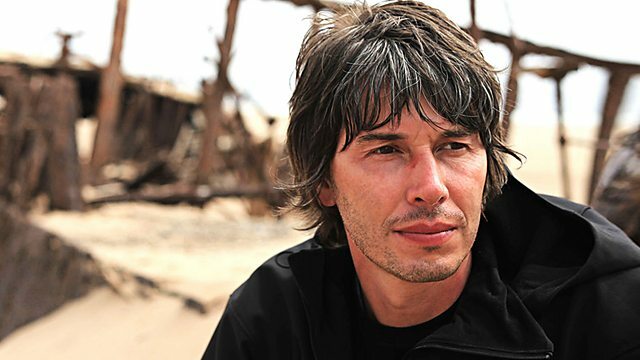 Kirsty Young's castaway is the scientist Professor Brian Cox. In the press he's been called 'the pin-up professor' and his enormously popular TV series have been credited with creating the 'Brian Cox effect' - a surge in the number of would-be scientists applying to university. As a teenager he decided he wanted to be a rock star; he toured the world as a member of the band Dare and performed on Top of the Pops with his second group D:Ream. He says:"I hope, we're beginning to treat ideas almost like we treated rock and roll - I hope so, it would be wonderful, wouldn't it, if ideas were the new rock and roll?" The Wonderful World of Frank Sinatra 1952-1960. Billy Joel: Greatest Hits Volume. A selection of programmes featuring scientists with an interest in space.